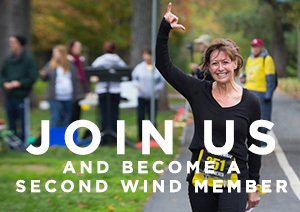 The St. Louis Second Wind Lung Transplant Association needs you! By volunteering, you are providing the much-needed support to help further our mission of serving lung transplant patients and their families. Your efforts also will help to: Add Years to Their Lives and Life to Their Years. You choose. We have a volunteer opportunity to match your interests and skills. • Do you like to raise money for good causes? Offer to recruit corporate sponsors and raffle items for the Lung Walk or organize a fundraising event such as a dinner dance, golf or fishing tournament, or bike ride. • Do you like the adrenaline rush of pulling everything together? Consider pitching in with logistical support for a Second Wind St. Louis event. They are always a lot of fun and very rewarding. • By giving a few hours, sharing a few ideas andmaking a few connections, you can make a profound difference in the St. Louis Chapter of Second Wind and your local community — and to children and adults waiting for life-saving lung transplants at St. Louis Children’s Hospital and Barnes-Jewish Hospital. • Would you like to help a patient from out of town who is coming in for tests? We often need someone to pick patients up at the airport. Bronchoscopy sitters are also occasionally needed to be available after the patient’s bronchoscopy to take the patient to the hotel or home.